This is the online home of Steven Trustrum. 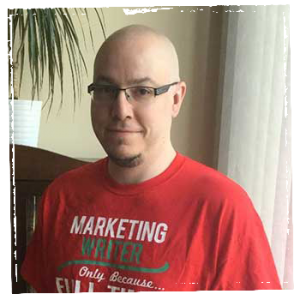 He is a freelance writer and editor, small press publisher, sometimes-graphic designer and digital colourist, and SEO warrior. He resides in Toronto, Canada (which explains his confusing use of the letter “u” in so many words), but serves clients around the world. Steven Trustrum has owned and operated his own small press role-playing game publishing company, Misfit Studios, since 2003. This website presents the professional services and accomplishments offered via Steven Trustrum Marketing. Steven Trustrum Marketing is a consulting service that helps small businesses get a grip on their existing and future online marketing, branding, and SEO needs. This includes addressing needs many businesses don’t realize they have. These needs can be revealed during a website or content audit, allowing Steven to suggest remedies or to take on the work directly. Services are provided as a one-time project, such as when overhauling an entire website to improve SEO, or as an on-going engagement. The latter can involve blog writing, content strategy, social media marketing, website design, and so on. Check out the blog here. 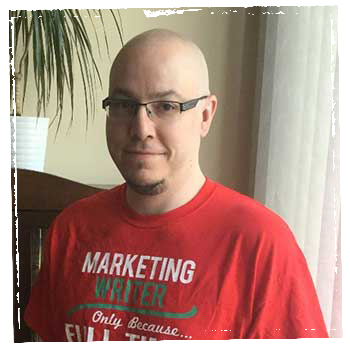 This is where Steven rants, raves, and rambles about marketing, publishing, writing, and a range of related topics. If you are wondering how to improve your small business’ online presence and marketing capabilities, you may find helpful tips here. Steven won’t give away all his secrets, but you may find something helpful. (After all, he needs you to pay for his services.) He also addresses personal topics of interest and random thoughts that somehow find their way into his head. If you see a blog post you like, share the love via your social media to send your friends this way. Keep checking in with the blog of Steven Trustrum for more fun and useful tips.